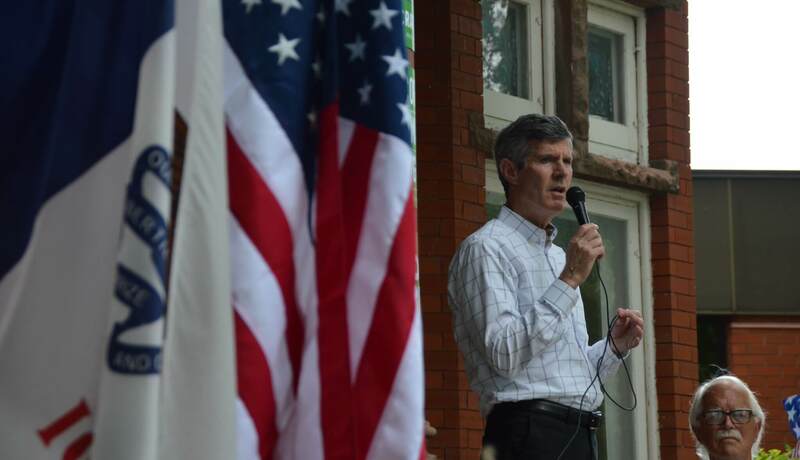 Fred Hubbell fell short in his campaign to oust Governor Kim Reynolds, but he successfully raised vital issues that will continue to demand action by Iowans. The unsolved problems that Hubbell focused on in his campaign won’t go away; he was absolutely correct to identify them in his criticism of Reynolds’ leadership. Democrats shouldn’t take Reynolds’ victory as a rejection of the importance of the issues Hubbell focused on during the campaign. The exit polling that Iowa Starting Line summarized earlier this week confirms that many of the issues that the Hubbell campaign raised have majority support from Iowa voters. Hubbell wasn’t wrong on the issues and voters confirmed that they support his messaging even though not enough voted for him. The crisis with Medicaid privatization continues, inadequate education funding continues and workers’ wages and salaries continue to lag behind basic family needs. Iowa’s water quality is declining and environmental quality continues to be ignored by Reynolds and the Republican legislature. Affordable health care continues to be an issue voters want addressed. Democrats can take great pride in the Hubbell campaign championing these issues. They didn’t lift him to the Governor’s mansion, but his efforts cemented these issues in the voters’ minds. The Hubbell campaign made privatization a primary issue in the 2018 election. Hubbell’s advertising (Tucker ad) made Iowa Medicaid recipient Tucker Cassidy a household name after privatization robbed him of his independence. The Hubbell ads profiled how privatization penalized Tucker, a quadriplegic, by stripping him of his in-home care, forcing him to sell his home and pushing him to move. “I was forced to move and it was all because of inability to find access to healthcare,” said Tucker Cassidy. The Tuckers of Iowa are still suffering after Reynolds’ election and Democrats will continue to make them a priority. We owe Hubbell’s team gratitude for focusing on the mistreatment of Iowa’s most vulnerable Medicaid recipients like Tucker. The Hubbell ads elevated the privatization conversation and likelihood that Iowans will demand Reynolds and the Republican-controlled legislature fix this nightmare. Democrats must follow Hubbell’s lead and continue to demand that privatization end. Adequate education funding was another essential issue that Hubbell championed in his advertising and messaging. Funding for Pre-K, K-12, as well as Iowa’s community colleges and public universities will continue to be a major goal for Democrats. Hubbell traveled across the state on his “Invest in Education Tour.” He visited elementary, secondary and community college schools focusing on the need for more funding. Promoting a world class education for every Iowa student left no doubt about his and the Democrats’ commitment to adequate funding. 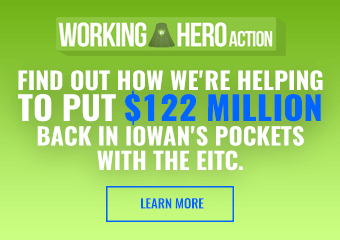 The setting of clear funding priorities for Iowa education will continue to be a major goal for Democrats. The Hubbell campaign set the stage for Democrats to build on his message of restoring Iowa’s world class education. The Hubbell campaign narrowly missed its election objective, but their months of progressive messaging will have a lasting impact on rallying Democrats for the next race. 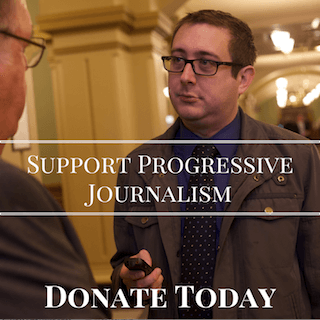 The need to increase worker pay, fund Planned Parenthood and clean up Iowa waters will continue to remain unresolved under Republican control of Iowa government. We can be very proud of Hubbell courageously leading our party by defending Iowa’s most vulnerable citizens, championing our students and teachers and increasing public awareness on issues critical to Iowa’s future. The campaign is over but the fight continues. Rick, I hope you are right. Because these issues aren’t going away (see Randy Evan’s post yesterday on regents schools). Nor is the Medicaid mess going anywhere. This is personal for my family as well. And Republican legislators and Gov. Reynolds seem to have no desire to actually FIX the mess. The issues are out there; Hubbell and other Dems have made sure they are in front of Iowa’s voters. One hopes that the presentations have been strong enough to a) stick in people’s minds and b) motivate people in the coming months to hold their reps and our Governor responsible for REAL change. As a Thanksgiving-season comment, I am grateful for this blog and grateful to those who post and comment. Thank you. I think maybe Hubbell stressed the medicaid issues too much. I personally think he mads it too much of his main thrust., I sympathize with the issue and people on medicaid. but if you are a rural person who faithfully pays his or her health insurance premium (be it supplement or regular) and it maybe it is difficult to do you gotta be thinking of the people on medicaid that probably is a low or no payment , Planned Parenthood was another one hf should have stayed away from. I know he did a lot for that organization but it has been demonized by the GOP and is not heavily popular in the Roman Catholic areas of the state with more traditional Democratic voter. He won the primary in some of those areas of the state so I thought it may go away but it must have been revived .For some of those voters to vote Democratic is to vote against life itself..He could have connected with rural voters differently.. 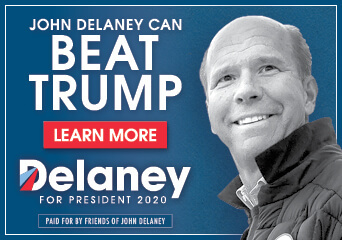 I personally think he was the best candidate the Dems had in the primary because the GOP could have really come up with some zingers against some of the other Dem primary candidates.